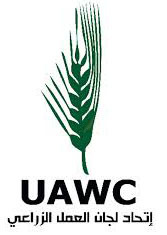 In 1989, HWC established the center in Wadi Al-Bathan village, which is located seven kilometers to the northern east of the city of Nablus at the intersection of the main road between Nablus, Tubas and Jenin. The village has a population of 3200 persons. The center has served 47% of the total patients of Wadi Al-Bathan village. It has 4 staff members in addition to physicians who work on contractual basis. The center works from 8 am to 2 pm.